Mercedes Benz has announced that some of its Mercedes cars now support Amazon Alexa. The car maker is now offering this new feature in the UK and Germany. You can use Alexa to check things like the range of your vehicle, by saying “Alexa, ask Mercedes me for the range.”, Alexa will them tell you how many miles or km you have left. 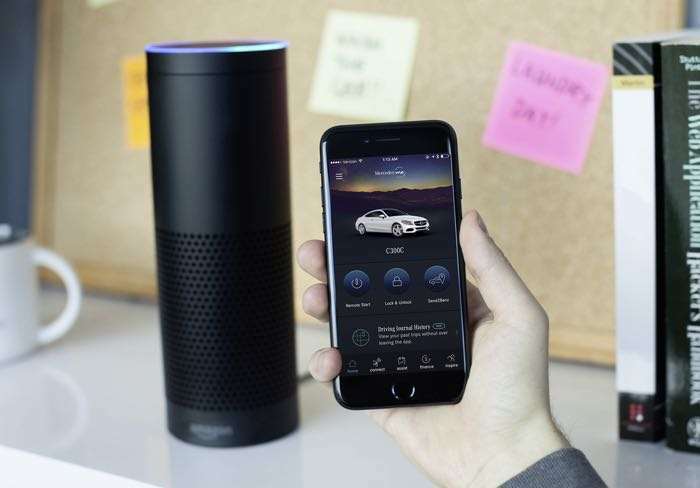 The car maker had also said that other things in the car can be controlled by Alexa, you can use Alexa to set navigation on some models and also start or turn off the auxiliary heating on other models. Mercedes have said that these new features are available in all of their vehicles that were made from September 2014 onward. In order to use these features with an Amazon Alexa enabled device you will need to set up a Mercedes Me account. You will then need to download the Alexa app and connect it to your Mercedes Me account. Mercedes launched this feature to their vehicles in the US this spring and they are expected to bring it to more countries soon. They have also said that they are working to being similar features to Google Home devices. You can find out more details about the Amazon Alexa integration with Mercedes cars over at the company’s website at the link below.